Today’s social media landscape is bursting at the seams with brands seeking to amplify their message. This is why building a strong brand community where your customers and followers hear your message loud and clear is more important than ever. In this post we look at the fundamental steps in building a strong brand community to do just that. As humans we have an ingrained desire to be part of a community. This is a space where we can openly express ourselves with others who share our opinions. A brand community is no different. A brand community is a dedicated following built around your brand and its core values. It’s a participatory space which allows customers to openly discuss your product/service with like-minded individuals online. It closes the gap between you and your customers, creating a heightened sense of engagement. A strong community opens the door to new and returning customers alike, fully integrating them into the brand experience. The solidarity and enthusiasm often exhibited by members means that a strong brand community on social media is essential for your business. Not only does it create a following of dedicated customers but, more importantly, it creates brand advocates and influencers. These are the people who openly post about and promote your brand. They can massively increase your social reach and gain qualified leads, with little to no effort on your part. Let’s look at some of the essential components involved in building a strong brand community to harness the power of social media effectively. While this may seem obvious, it’s absolutely crucial in building a successful brand community. By properly defining your brand you give your customers a clear beacon to follow by showcasing what exactly your company is all about. Questions to ask yourself if you’re at this phase are: what does my brand stand for? What is my brand message? What are my brand’s core values? What makes my brand different? What’s my mission statement? Your answers will shape both the direction of your marketing efforts but also the profile of a member of your your brand community. If you’ve already got this part down – excellent work! It can be a difficult step for new e-commerce brands trying to define the values that they stand for they are while making their voices heard on social media. Defining your brand is also a crucial aspect of your overarching marketing strategy as it provides a distinct personality and guides how you address your customers. If you’re stuck for ideas Entrepreneur have a good overall guide to defining your brand here. 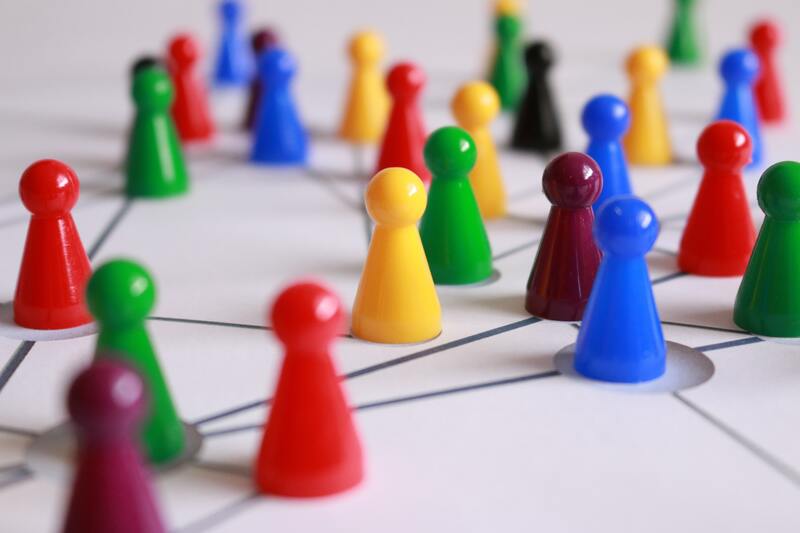 To connect with your prospective community in the first place, you need to pin down which social media platforms they tend to be most active on. It might be tempting to set up Twitter and Facebook accounts and start posting. However this crucial, analytical phase will guarantee that your efforts are not wasted. Different audiences prefer different social media platforms. The younger generation spend most of their time on Instagram, while Facebook and Twitter reach a more mixed demographic. LinkedIn tends to be the preferred platform for professionals and B2B companies, although it’s experiencing a shift to a more mainstream demographic. As such, the platforms you focus on to cultivate and nurture your brand community will necessarily depend on the nature of your business. However they should also be based on your own market research to ensure you’re reaching the right people, those who are most likely to connect and engage with your brand. It’s wise be aware of and hone in on any current discussions about your brand and proactively participate in them. There are a variety of social media listening tools out there to help you do this, such as HootSuite and Mention. Outstanding content should be at the heart of building your brand community on social media. It’s content that your brand advocates will love and share, massively increasing your reach to new potential followers and customers. Truly valuable content also gives your brand community something to discuss. It creates topics for debate and discussion, keeping your brand relevant, engaging, and interesting. It can be difficult to know where to start, but great content ideas could be closer than you think. Investigate what kind of content your followers are already liking and sharing across your chosen social media. Then, take a look at the most liked and viewed content that you’ve created. Combine these two aspects and you’re onto a winner! Create exclusive content for your most dedicated followers in the form of white-papers, sneak-peeks, and special discounts. Share this with them via email, or perhaps via closed social media groups or forums. This is you clearly giving back to the community and keeping them engaged. Likewise let your community shape and guide your content marketing strategy and you’re on to a winning tactic. A huge part of an effective, inclusive brand community is one where the brand talks back and does so with feeling. Of course larger companies have whole teams of staff communicating with customers on social media. They utilise a “brand voice” to be consistent in these communications. This is a carefully deduced tone and style is definitely an important factor in your overall social media strategy. That said, use it sparingly when addressing your community. They want to be addressed like humans, so be sure to take on board their feedback, acknowledge their comments (both positive and negative), actively get involved in their discussions, and just generally show that there’s a friendly face behind the screen. Responding to comments and questions with the same answers can frustrate your community and dampen that important sense of inclusion by creating distance. A well-structured brand community provides your business with an amazing customer support channel at a lower cost than traditional ones. Marketing Insider Group reported a 10 – 25% decrease in customers support costs in 49% of businesses that have an active online community. Cost-saving aside, providing direct, friendly, and efficient communication and customer support on social media is key in nurturing your brand community. It reassures your followers that you’re there to answer their questions and interested in what they have to say. Building a successful brand community was never going to be a quick or easy endeavour. You won’t see instant results, but your efforts will certainly pay off in the long run. With strategic planning and implementation of your social media strategy, your brand community will grow. As it does, it will offer you a key source of market insight while providing your customers with an open door to your company. Building a strong brand community is not just a vital marketing strategy. It’s also a business strategy, one which should be supported at every level of an organisation for maximum success.